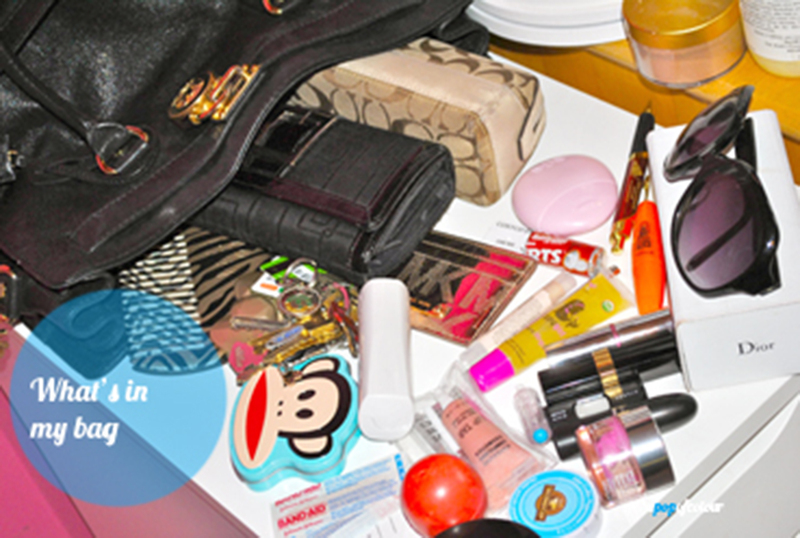 Some of my favourite YouTube videos to watch are what’s in my bag vids. I don’t know why they are so interesting, but I have always had a fascination with the things that people carry around. 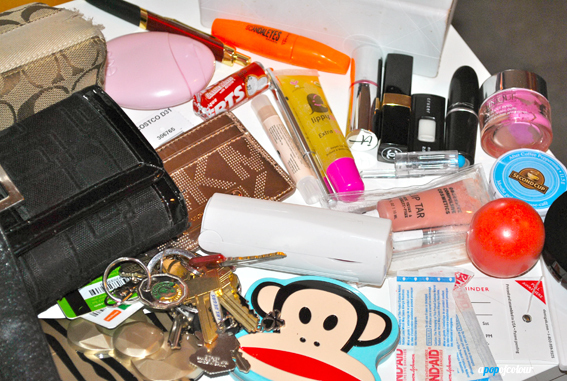 I did a what’s in my bag post about a year ago but I thought I would do a work bag version because apparently I carry way more stuff than just what’s in my regular handbag. My work bag at the moment is the Michael Kors Hamilton large tote in black with gold hardware. I did do a review on that bag when I got it, but to sum it up, it’s a roomy bag, perfect for work, travel, you name it. It’s a little too big to carry on the weekends, but I love using it Monday to Friday 9-4, or as a carry-on when I travel (my MacBook Pro or iPad fit perfectly in it). It features two drop handles as well as a shoulder strap for when you want to be hands free. Wallet – this is the same wallet I have been using for a few years now. I got it at Sears a while ago for like ten bucks and love it because it can hold a lot of stuff (I have a lot of rewards cards). Coach cosmetics pouch – has Angel perfume, ELF concealer/highlight, a pen, Rosebud Salve, a highlighter, random staples, a Sephora mirror, and Aveeno hand cream in it. And that’s all! 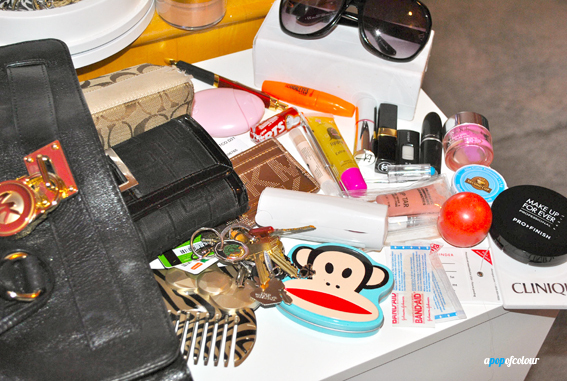 When I look in my bag it doesn’t seem like a lot of stuff, but when I was writing it out, wow, I have a ton in there.